More than four years after saying he had nothing to be sorry for, USA Swimming chief Chuck Wielgus apologized to victims of sexual abuse for the first time. Wielgus has resisted repeated calls to step down as executive director and pointed to enhanced steps to protect athletes as proof that he was serious about eradicating sexual predators from the program. But he was recently forced to withdraw from the International Swimming Hall of Fame induction class and now acknowledges that he should have done more. Wielgus started a blog post on the organization's website with two words: "I'm sorry." The apology referenced a much-criticized 2010 television interview in which a defiant Wielgus said he had done nothing wrong in the handling of dozens of sexual abuse cases under his leadership. "These are powerful words some people have wanted to hear from me for a long time," he said in the blog. "And so today, four long years later, I can truthfully say how sorry I am to the victims of sexual abuse." He went on to write: "Going back in time, I wish I knew long before 2010 what I know today. I wish my eyes had been more open to the individual stories of the horrors of sexual abuse. I wish I had known more so perhaps I could have done more. "I cannot undo the past. I'm sorry, so very sorry." While Wielgus stands by the organization's Safe Sport Program, which was instituted after the sexual abuse cases came to light, he has continued to face criticism from those who say he should step down if the USA Swimming is going to make real progress. In January, an independent report commissioned by the governing body recommended 39 changes to better protect underage athletes from predatory coaches. Last week, Wielgus stepped down from induction to the Hall of Fame after a petition drive opposing his selection and criticism from the Women's Sports Foundation. "I brought this on myself in April 2010 when I said I had nothing to apologize for on a national television interview," Wielgus wrote. "Subsequently, I remained, if not defiant, at least defensive. While USA Swimming developed its groundbreaking Safe Sport Program, I championed the work of our national governing body. I talked about all the good that USA Swimming was doing in the fight to eradicate sexual abuse. But, I never apologized. "As time progressed, I became afraid that my sincerity would be questioned and anything I said or wrote would be judged as just an attempt to put public relations ahead of true remorse. So I remained silent." USA Swimming has hired an official to oversee the protection of athletes, mandated training for thousands of coaches and officials, and now keeps a list those receiving lifetime bans on its Web site. It has grown to 101 people, most of them thrown out of the organization for sexual misconduct. Last year, Richard Curl, a once-prominent Washington, D.C. area swimming coach who trained thousands of children, was sentenced to seven years in prison for sexually abusing one of the girls he instructed. Curl was banned for life from the sport by USA Swimming. 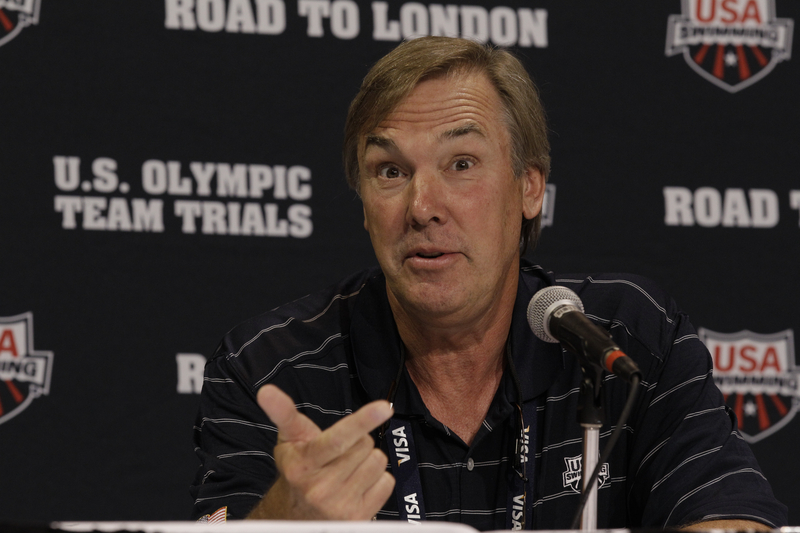 In 2012, USA Swimming denied that it had an agreement with former national coach Mark Schubert to cover up allegations of sexual misconduct by other coaches. "Now, when I look back and see how far we've come as an organization, I also recognize how far I have come," Wielgus said. "These experiences have all helped me to grow, and to know that I would never want my daughters, or anyone for that matter, to ever experience the horrors and nightmares that must come during and in the aftermath of a sexually abusive situation. "And so today, four long years later, I can truthfully say how sorry I am to the victims of sexual abuse."